Tired of your slow computer freezing all the time? 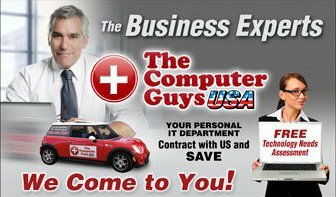 Turn to the experts with The Computer Guys USA! Excellent, fast, personalized computer repair at your service. We fix, we help . . . and we plan to be your computer guys for life! Guaranteed service for 1 flat rate. Our computer guys will make sure your computer is working at peak performance and we won't charge you until we find out what's wrong. 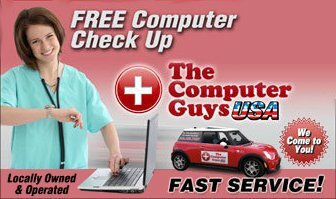 The Computer Guys USA is the only store in your area that will work on your computer on location and in our store!